"In the beginning, the concepts for From Point/From Line were one type of a concept of infinity...to express this concept of infinity through repetition, so it was, in a sense, very conceptual. But gradually this was broken down; I began to discover a contrast between painted and unpainted areas. 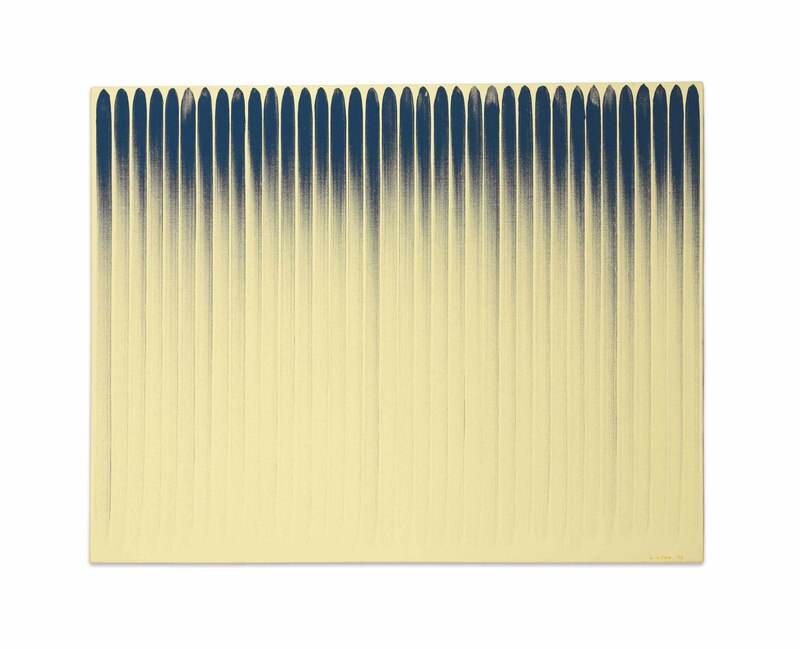 Infinity is not the repetition of one concept, but the combination of what is painted and not painted, and I began to think that infinity emerged from within this type of time lag" (L. Ufan, "Mugen ni tsuite/On Infinity," Lee Ufan, exh. cat., 1993, pp. 82-87).